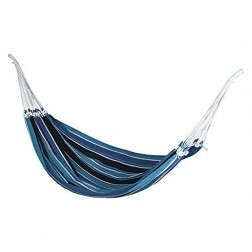 Melt away the stress in your life with a seriously colourful Rio Single Hammock. Supporting up to 150kg, the Rio Single Hammock makes a statement with multiple Brazilian inspired colours. 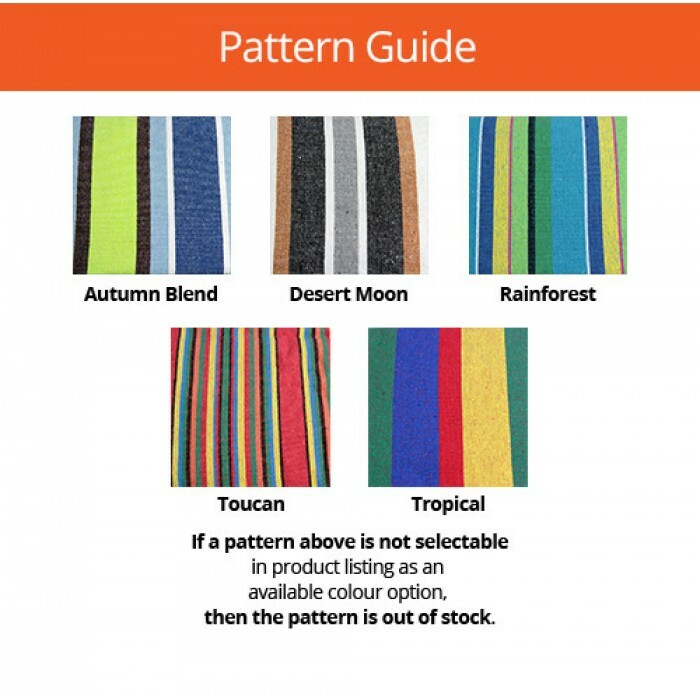 Beautifully handcrafted in Brazil from high quality 100% colourfast cotton, this lightweight hammock is the perfect accompaniment to get rid of the stress your life. Whether you decide to take it camping, set it up at home or the family bach, you will find your comfort zone and be day dreaming in no time. Set this little beauty up between two trees, attach it to a pergola, sturdy wooden beam or the yacht. We recommend Tree Savers to help hang this hammock. This is the perfect gift idea for yourself or for loved ones - purchase today before stock runs out! I purchased the hammock to replace an old shabby one that had perished being left outside. 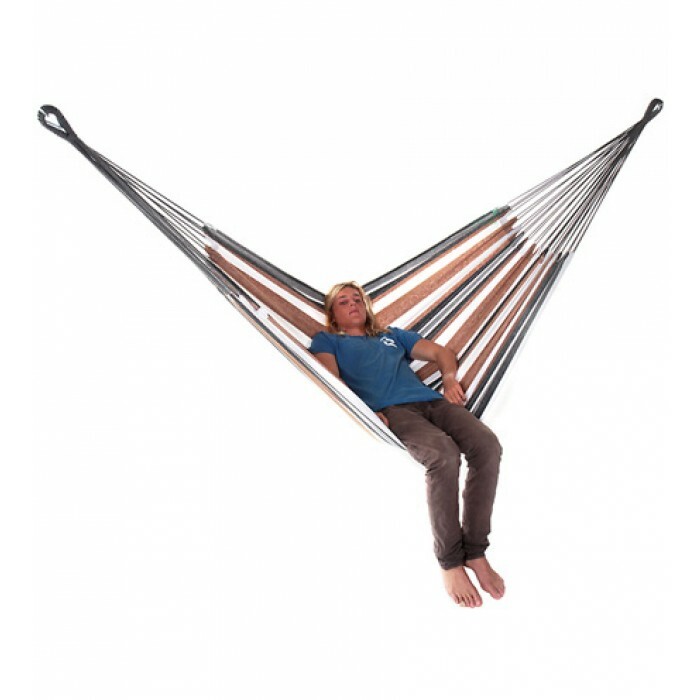 I opted to buy a new one from Hammocks.online. and wasn't disappointed. It was quick and easy and I was delighted that it arrived only a day or so after I placed the order. I chose the Toucan colours, vibrant and colourful for the outside setting and the fabric was cotton, which was important for me. It is assembled on a stand, fitted easily, and I had no problem with fixtures or the assembly. Easy!!! 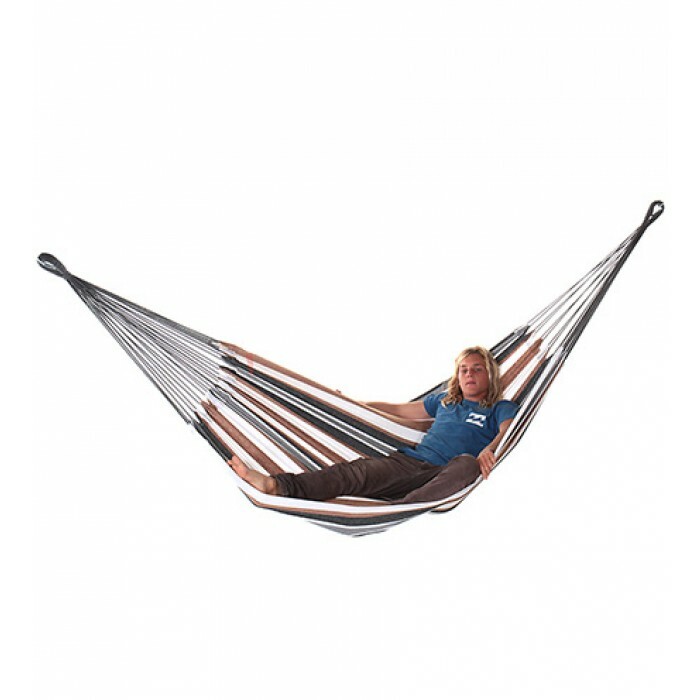 I would have no hesitation to recommend this company or the type of hammock I chose. I'm really happy with the choice and product. So great for plenty of afternoon naps too.